When I travel I tend to be fairly open minded, happy to try just about any sort of experience whether I really want to or not. Bungee swing off of a soccer stadium? Sure, why not? Cage dive with great whites sharks? Sign me up! However, when it comes to food, my true cautious nature surfaces in quick order. I am an extremely picky eater and rarely do I veer away from what I know I like. Usually this isn’t a problem when I travel, although, it has been an issue on more than one occasion. That was one of several reasons why I was nervous about my first trip to India on a Tailor Made Journey with luxury tour operator Abercrombie & Kent. Reading through all of the CDC warnings before my trip, I was terrified. I was scared to eat anything not cooked to within an inch of its life, I was nervous about eating outside of hotels and resorts and don’t even get me started about the water. I wasn’t sure what to expect, but as is almost always the case, my fears were nearly entirely baseless. A variety of different concerns bounced around my brain before first traveling to India. From experience, friends and family either loved or hated their adventures in the country and I wasn’t sure what to expect. Near the top of those worries had to do with food and water. Before my trip, I took a couple of extra precautions I don’t normally do, I visited a travel health clinic for vaccinations and to seek their advice on how to handle myself while traveling in India. While I don’t regret the vaccinations, I do regret having listened to their doctors as closely as I did. These travel health centers are great and are usually the only places to find some obscure vaccinations. That being said, they are for-profit entities that trade in fear and apprehension. Their jobs are to make patients as worried as possible so they purchase more, whether it’s vaccinations or other preventative measures. They also provided me with a handy booklet that is one of the scariest documents ever created. Based on their dark outlook on travel, I was expecting everything from roaming packs of wild dogs to the potential of tetanus and malaria around every corner. This booklet, almost more than anything else, led to most of my fear about eating in India. I purchased two vaccinations, both of which are good for me to have in general given my travel schedule: Typhoid and Hepatitis-A. While the health professionals certainly err on the side of caution, they did have some valid points. There is, after all, why a certain affliction is commonly referred to as Delhi Belly. 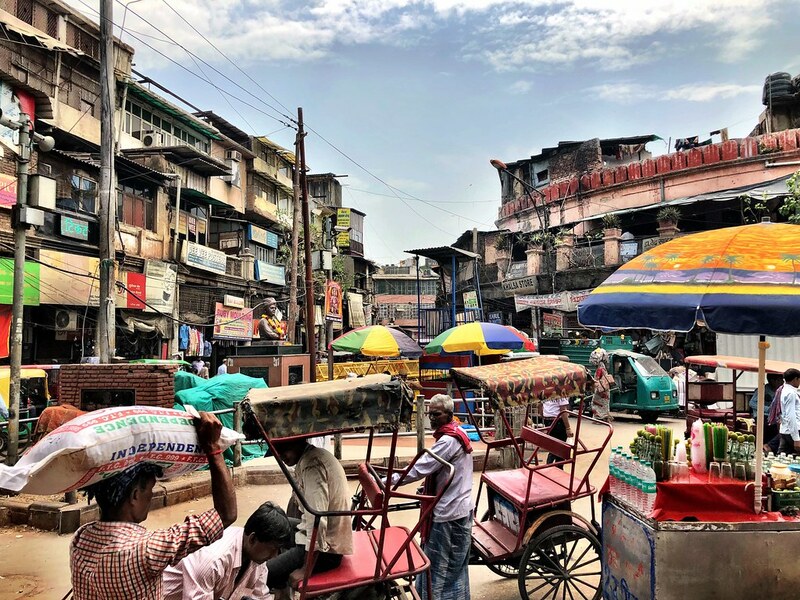 Delhi Belly or, to be crass, travelers’ diarrhea, was one of my main concerns because it’s the one health problem that I know people who have been affected. In spite of its name, it’s actually something that can happen just about anywhere. The affliction usually affects travelers from developed countries traveling to lesser-developed countries. Local residents have built up a natural immunity to certain bacteria that visitors have not. The bacteria can be from a variety of different sources and due to a variety of different reasons. It doesn’t always mean that the food or water is dirty per se, just different. That being said, it was an illness I wanted to avoid at all costs. So, how did this all work out in practice? In spite of all of my concerns, I broke these rules almost instantly. Well, except for one. Throughout my week and a half in India, I was obsessive about using only bottled water. Every time I brushed my teeth, needed a sip or ate a meal, water was one of my chief concerns. I even refused drinks that had ice cubes in them. 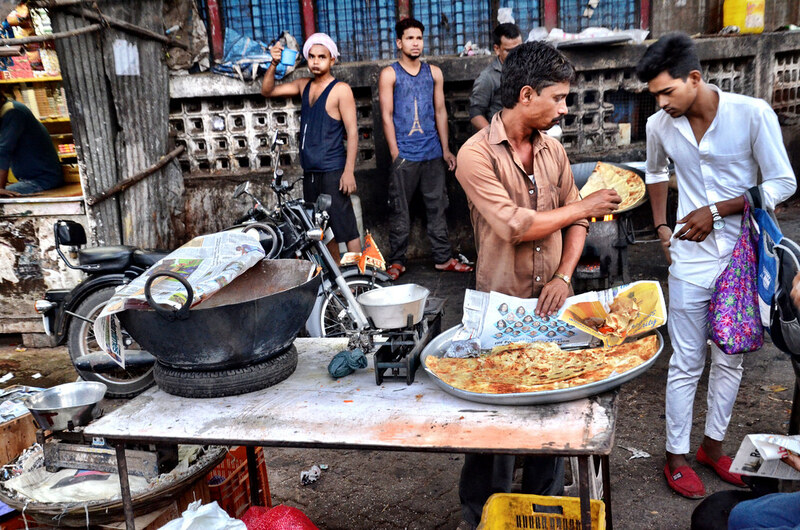 However, on my first day I was on a tour of local markets in Mumbai, and quickly succumbed to my love of street food. I firmly believe that food is one of the best ways to experience any new culture, and I couldn’t resist the temptation of trying new foods I’d never even heard of before. That being said, I was smart about which ones I tried. A good rule with street food is to only eat foods that are well cooked and to only patronize stands that are popular, ensuring a quick turnaround in food. And you know what, I was fine. Well, at first. Even though I broke my food rules on day one, I lived to tell the tale, which of course gave me the confidence I needed for the rest of the trip. Breakfasts and most dinners were enjoyed at whatever hotel or resort I was staying at. This was done not from an abundance of caution, but rather convenience. My days were long, I was always tired and I have hours of work to do every day while traveling. So the hotels became the chief source of my meals. 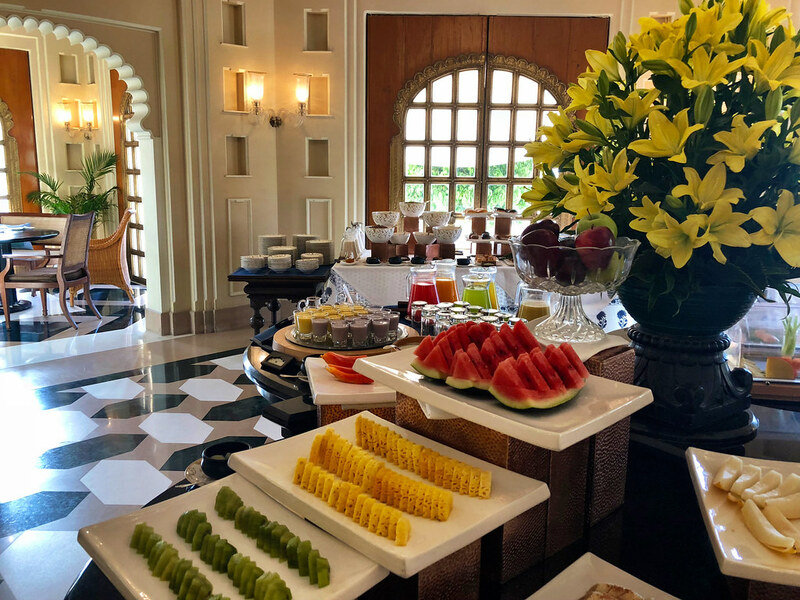 Luckily, I stayed at some fairly amazing properties while in India, and the meals on-site were delicious and even authentic. Whether it was trying biryani for the first time, or going for my favorite Indian dish – butter chicken – I was always happy with the choices and didn’t get sick. Well, I almost didn’t get sick. 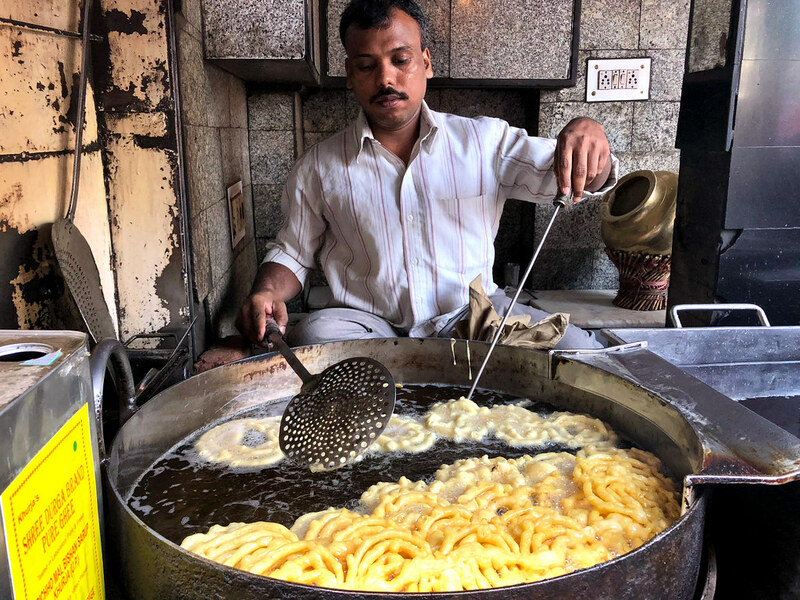 My last day in India, I joined a food tour of Delhi. 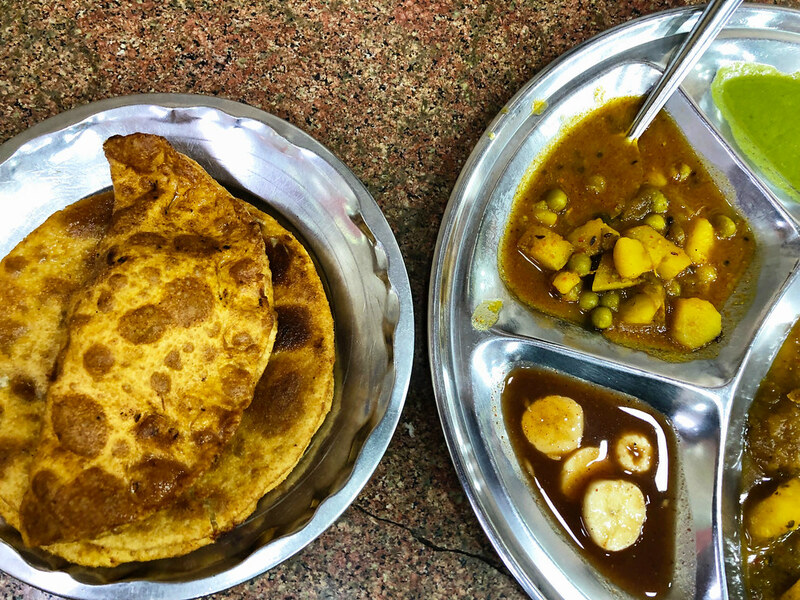 During that fun morning my guide and I traipsed through Delhi’s old city, trying a whole host of dishes. It was delicious and a lot of fun. However, on my flight back home I started to get sick, very sick, and I soon realized that I had indeed contracted the dreaded Delhi belly. It’s important to note though that I have no idea how I got it. Sure, it could’ve been on that food tour, but it also could just have easily been at my luxury hotel. While there I did eat some vegetables, which may have been the error in question. I also had some water at meals and I’m not sure if it was bottled or not. Regardless of its source, it happened and that’s ok. While not pleasant, my trip wasn’t ruined and I had all of the medications I needed with me to quickly deal with the issue. More than half of all travelers to developing countries contract this at some point, and it was simply my turn. 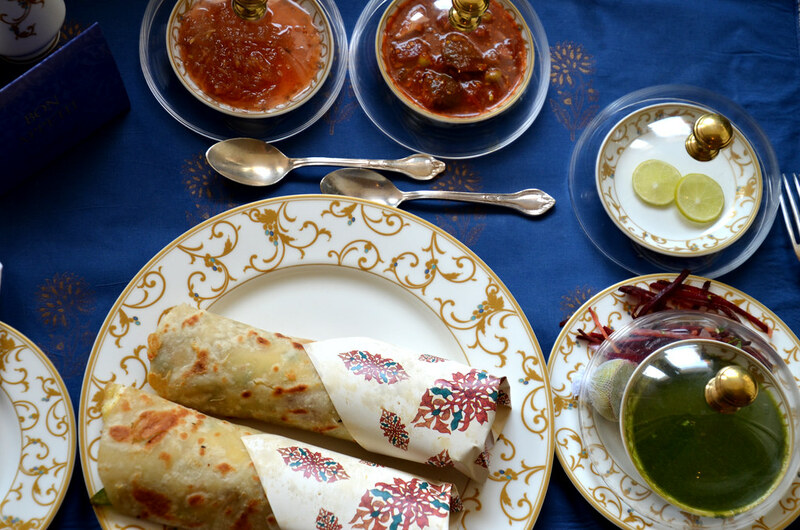 This post should not make you fearful about experiencing the culinary side of India, far from it. In fact, food is a critical aspect of any adventure in India. No, instead I think it’s important to take certain precautions before traveling anywhere, but to also maintain that spirit of adventure that makes travel so very worthwhile. Whether it’s India, Cambodia or Mexico, it’s smart to take along with you a variety of stomach aides as well as rehydration packets. This is a worldwide precaution, and not relegated to just one country. It is also important to get out of your culinary comfort zone, but to be smart about it. 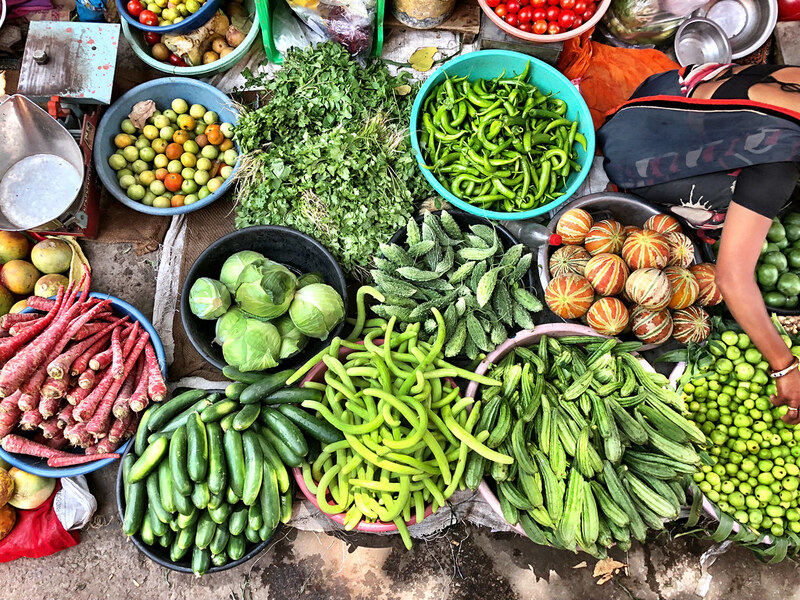 Yes, try that yummy street food specialty, but only buy from busy stands, ask a local what they think is best (and most sanitary) and only consume cooked foods. Avoid local tap water and ice cubes. As long as you keep all of this in mind, you can still have a fun and adventurous food experience in India or anywhere else you travel. Being cautious but fearless is good advice for all travelers in a variety of different ways, from food to walking around new destinations and beyond. Being self-aware is critical, but don’t let fear govern your travels. Traveling is about breaking down barriers and reducing our fears, so set some of them aside wherever you go and allow yourself to be surprised. I should not have been as worried about traveling around India as I was. Looking back at it now, I’m embarrassed that I consciously avoided visiting this exciting, dynamic and undeniably beautiful country for so very long. I had let my own fears govern my actions and that was a mistake. Travel is a constant education though and I’m thankful that I allowed myself the opportunity to learn this important new lesson, facilitated through the expert care and guidance of Abercrombie & Kent. Useful tips for someone traveling abroad.